The season started so positively. We had an incredible draw at Stamford Bridge on the opening day and a few weeks later we beat Manchester United for the third time in a row. We were playing beautiful football, scoring goals and looked ready for another great season. Sadly since August things have gradually fallen apart and by now we are struggling. We have won just one game since the victory against Manchester United (a 2-1 win against Aston Villa, who were terrible) and there are problems throughout the team. The defence keeps making costly mistakes, the midfield is lacking confidence and creating very few chances for our strikers, who are desperately poor at the moment. Fans were angry after the 2-2 draw in the last game against Bournemouth. Bournemouth were the better team from start to finish and we were lucky to get a point. Questions are being asked about manager Garry Monk’s future, which is a shame because he is a club legend who did great things last season. The season ahead looks like being a very difficult one..
2. Which players has impressed for Swansea this season? What players do you think has to perform better? At the moment no players are playing particularly well. 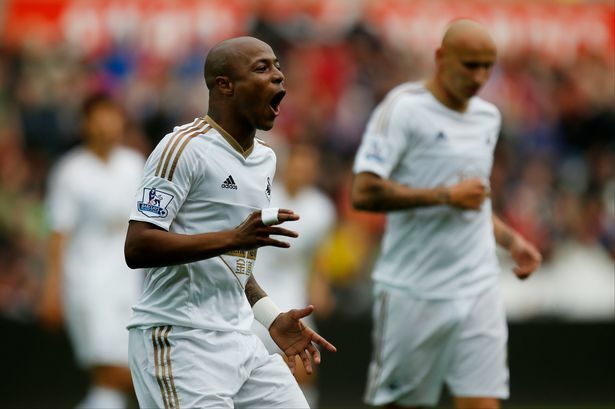 It was good to see Andre Ayew score again against Bournemouth. He started the season amazingly and has probably been our best player but not even his performances have been brilliant in recent games. Players who were excellent last season are out of form. Lukasz Fabianski was fantastic in goal for us last season but this year he looks far less confident. Our defence was fantastic last season but experienced and usually dependable names like Federico Fernandez and even our heroic captain Ashley Williams are making stupid mistakes. The entire midfield should be playing much better. We are at our best when we pass the ball quickly but the play has been slow and predictable for too long. Our main striker Bafetimbi Gomis has angered many fans who think he has been lazy. Against Bournemouth Monk made five changes and tried a few of the second choices but none of them made enough of an impact. We have a talented squad but they all need to do better. We are predictable and prone to errors. Our strengths are our wingers, Andre Ayew and Jefferson Montero, who when they are playing well are among the best in the league. Sadly by the time they get the ball these days the opposition is ready for them. Our weaknesses are at the back where we get stretched very easily, something Liverpool’s attacking players will look to exploit. Our midfield now finds it difficult to control possession, something which has never been true in the past, and we lack creativity, meaning we have barely any scoring chances in a game and we find it very difficult to score. 4. Name three key players for Swansea in the game against Liverpool. If we are to take anything from the game at Anfield Ashley Williams has to be back to his best. He is the greatest captain our club has ever had and is very much the leader of the team. He is a big, athletic centre-back who organises the defence. He needs to play well or Liverpool will score three, four or five against us. Andre Ayew has been our best player this season and against the big clubs so far this season he has done well, scoring against Chelsea, Manchester United and Tottenham Hotspur. Ki Sung-Yueng needs a big game against Liverpool. 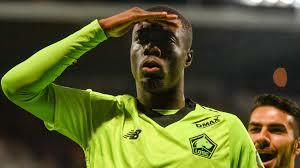 He is another player who was excellent last season but has not been as impressive this season. Liverpool will put us under huge pressure on Sunday and he needs to assert control and composure in midfield. 5. We sold you Jonjo Shelvey a couple of years ago, how has he developed since? How good do you think he will get? It is starting to feel like a mistake letting him leave. The decision to buy Shelvey divided fans at first because after watching him play for Liverpool none of us believed he was intelligent enough to play our system and lacked the necessary discipline to fit in at Swansea. He is still a very strange player, capable of amazing goals and moments of pure magic, but he is still immature and has moments where he cannot control himself. He has developed since leaving Liverpool but he is still too wild. Unless he grows up and learns to focus on the game for 90 minutes every game he will never fulfil his potential. Liverpool made the right decision to let him go because he is still not good enough to play at that level but it would have been very interesting to see how a manager like Klopp would handle him. 6. You signed swedish goalkeeper Kristoffer Nordfeldt this summer, what do you think are his chances to remove Fabianski from the starting lineup? He has only played cup games so far and unlike Fabianski he has made no mistakes. He looks like a solid and dependable second choice but I can’t see him replacing Fabianski in the near future, even though the Polish international has not been as reliable as last season. Dropping the main goal-keeper is one of the toughest decisions a manager can make and Monk does not look like he is ready to test Nordfeldt in the league just yet. 7. The transfer window is coming up, will there be any new players coming in to Swansea? I really hope there are new players coming to Swansea in January because we need them. We were quiet in the summer and apart from Ayew, none of the new players have really had an impact in the first team. The decision to start the season with just two strikers has backfired badly because neither Gomis or Eder look like scoring at the moment. We really need a proven Premier League goal-scorer, somebody like QPR’s Charlie Austin. I also think we need a new attacking midfielder because Sigurdsson, despite working very hard, is not playing the destructive passes he was last season. We could also do with having Joe Allen on loan if Klopp does not want to play him because we need somebody energetic who can control midfield for us. Swansea fans are very fearful of the next few games. Judging by the 4-1 win at the Etihad we are facing Liverpool at the wrong time. Klopp seems to have transformed the squad and the players look like they are loving their football again. If we play the way we did against Bournemouth we will lose by five or more goals. After Liverpool we face Leicester, Manchester City and West Ham so it is tough to see where the next points will come from.